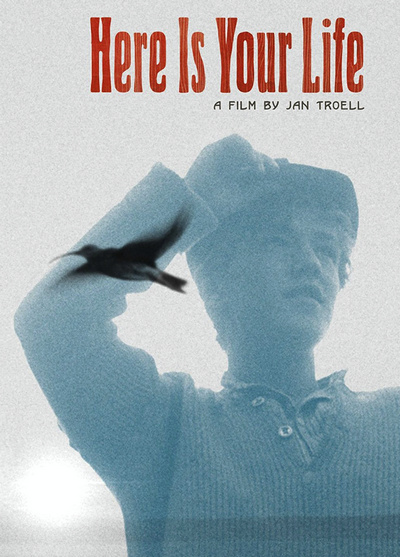 Based on a semi-autobiographical novel by Nobel Prize-winning novelist Eyvind Johnson, Here’s Your Life tells the story of a working-class boy coming of age in rural Sweden during the first World War. Director Jan Troell’s striking visual style is on display, as are cameos from some of Swedish cinema’s biggest stars. Olaf is a mere 13 years old when he leaves the farm of his foster parents (sent there because his real parents are too poor to feed him) and sets out to make his own way in the world. The film follows him through his teenage years as he moves from job to job — he works at a lumber camp, a brick furnace, a sawmill, a movie theater, a travelling tent cinema, a carnival shooting booth, and maintaining the engines at a railroad yard — and schools himself by reading philosophy and attending socialist meetings. • Mike Leigh Introduction - acclaimed British director Mike Leigh (Naked, Life Is Sweet) introduces Jan Troell's Here Is Your Life. The introduction was filmed exclusively for Criterion in New York in December 2014. In English, not subtitled. (5 min, 1080p). • Jan Troell and Peter Cowie - in this new video interview, director, writer, cinematographer, and editor Jan Troell explains how he entered the film business, and discusses his relationship with fellow director Bo Widerberg (All Things Fair), the creative climate in Sweden during the late '50s and early '60s, the short story by Eyvind Johnson that inspired Here Is Your Life, the casting of Max von Sydow, the maturation of Olof Perssonm, the shooting of various sequences, the use of dialog throughout the film, etc. The interview was conducted exclusively for Criterion at the director's home in Sweden in March 2015. In English, not subtitled. (34 min, 1080p). • Eddie Axberg - in this new video interview, actor Eddie Axberg recalls how he was approached to play Olof Persson, and discusses his character's journey, his interactions with Max von Sydow and Gunnar Bjornstrand during the shooting of Here Is Your Life, Jan Troell's working methods, etc. The interview was conducted exclusively for Criterion in Stockholm in March 2015. In Swedish, with optional English subtitles. (16 min, 1080p). • Bengt Forslund - in this new video interview, Bengt Forslund, who produced and cowrote Here Is Your Life, explains how he contacted director Jan Troell and offered him Eyvind Johnson's short story, and discusses the film's production history and reception (it received rave reviews at the Berlin Film Festival, but the Golden Bear Award went to Roman Polanski's Cul-De-Sac) as well as some of the major trends in Swedish cinema at the time when the film was completed. The interview was conducted exclusively for Criterion in March 2015. In English, not subtitled. (15 min, 1080p). • Interlude in the Marshland - presented here is a segment from the omnibus film 4 X 4 (1965), which is based on Eyvind Johnson (This Is Your Life) and was directed by Jan Troell. The film was comprised of four short stories, each from a different Nordic country. Interlude in the Marshland a.k.a. Uppehall i myrlandet stars Allan Edwall, Max von Sydow, and Karl Erik Flens. In Swedish, with optional English subtitles. (31 min, 1080p).